Mary Shelley is, in some ways, a difficult film to review. 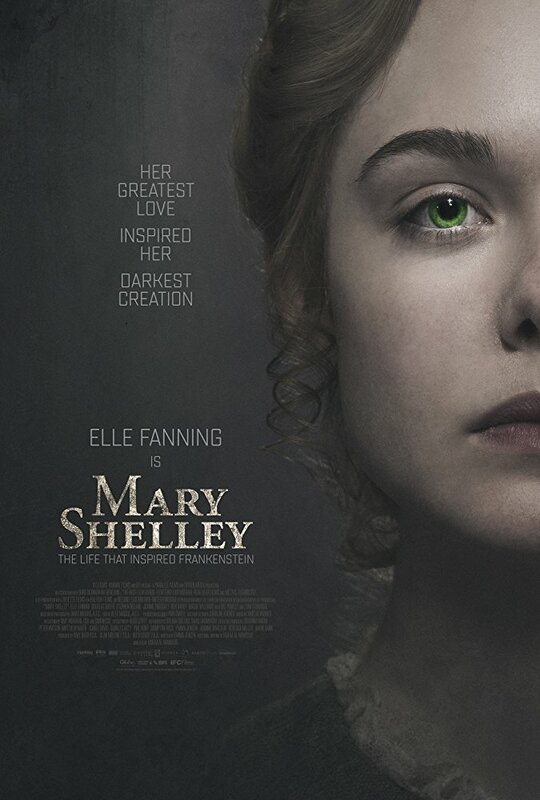 It's a sumptuous period drama, which is something I always enjoy, and I particularly liked Douglas Booth's portrayal of Shelley. However, overall, it didn't completely work for me. I found Elle Fanning's performance a little lacklustre, lacking in passion, and overall, while pretty and watchable, the movie lacked a sharp focus or any really sense of drama. For me this is a 3.5-star film. It has some good things going for it, and is worth a single viewing, but it could have been so much more.